We are extremely thankful to Purvankara Limited for the Annual PLATINUM Sponsorship to KannadigaruUK. Since its inception in 1975, Puravankara has anchored its foundations on quality and timely delivery. This credo combined with uncompromising values, customer-centricity, robust engineering and transparency in business operations, has the Company among the most preferred real estate brands. Today Puravankara has a pan India presence - Bengaluru, Chennai, Hyderabad, Coimbatore, Kochi, Mangaluru, Kolkata, Mumbai, Pune and Goa with an overseas presence in GCC and Sri Lanka The Puravankara Group with its sharp foresight, adopted innovative technology and latest developments in construction science much ahead of time, which has helped accelerate execution and delivered quality products. 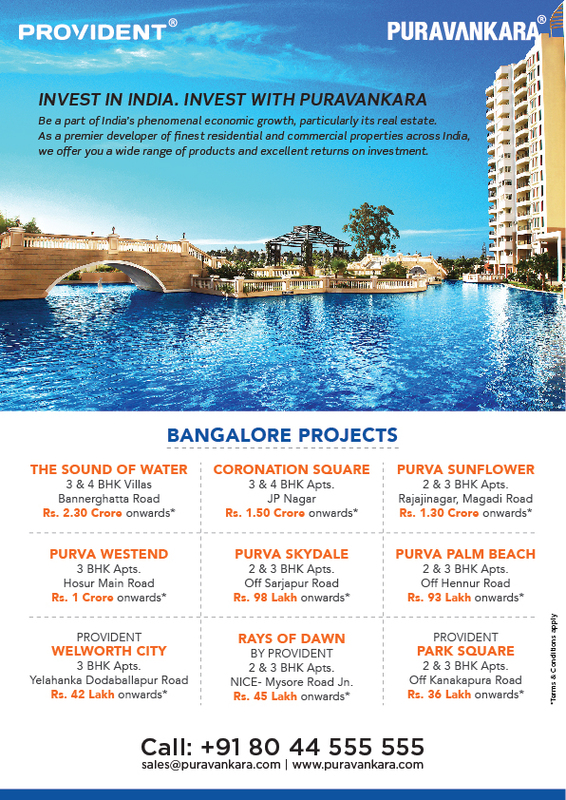 Over the years, Puravankara has grown from strength to strength and has completed close to 31 million square feet out of which 54 are residential and four are commercial projects. Kindly get in touch by email or call the number on the flyer for further information or queries. They will also be having a dedicated stall on the Vasantotsava event on 14th April 2018! Welcome on board Purvankara Limited as our Platinum Sponsor for the Year! Puravankara has won various awards over the years. To name a few the company has been honoured Realty Plus Excellence Awards (SOUTH) 2016 - Low Cost Housing Project of the Year - Provident Green Park and Villa Project of the Year - The Sound of Water, Parryware NDTV Property Awards 2016 for one its prestigious projects - Purva Skywood. Recently the company has also been conferred with 9th Franchise Estate Awards 2017 – for 'Best Developer of the Year – South and ‘Best Affordable Housing Project of the Year - South - Provident Sunworth. Puravankara also won the 8th Realty Plus Conclave & Excellence Awards 2017 (Pune) - Developer of the Year - Residential segment.